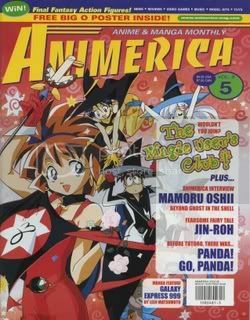 It was probably about 2000 or 2001 when I first discovered cosplay in the pages of Animerica magazine. Back then the American cosplay and convention scene was nothing like it is today. The closest anime convention to where I lived was Otakon, and though I begged and pleaded with my mom to go in 2001, it was too far away. 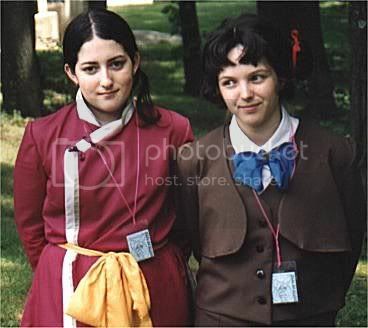 In 2002 a convention started in Portland Maine called PortCon, but that too was farther than she was willing to travel for some "Japanimation" conference. Finally in 2003 Anime Boston opened, and even fell on my 16th birthday! But so did Easter, and so I again stayed home. "Anime," "Final Fantasy," and a group called "cosplay.com." We even heard tell of a costume contest at the "rave," but it was getting late and I could barely keep my eyes open, so we climbed back into the car and drove home. When I got home I decided to look up that "cosplay.com" I'd heard of at the photoshoot, and what I found was an inspiration. I promptly registered and got to work researching my next cosplay project. The following year, in 2004, I decided I had to go back to ConnectiCon. This time I endeavored to make my costume myself, but still needed help from my mom. I dressed as Yuna in her songstress outfit from Final Fantasy X-2. Earlier in the year I'd even gotten my hair cut like her--the first (and so far only) time I ever had short hair. Once we got there I immediately asked about the cosplay contest, and signed right up. Craftsmanship judging was held outside. We all stood in a line next to a brick building and were called up one by one. Ashamed as I was of all the inaccuracies my last-minute construction left me with, I still showed my work to the judges with pride and they seemed at least a little impressed. seconds on stage, but there were three skit entries as well. 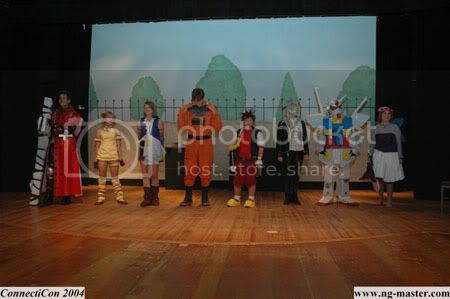 When it came time for awards to be handed out, I was shocked when they called me up on stage for the "Best Video Game Costume" (Teen/Adult division). It was at that costume contest I first met, or at least saw, some friends that I continue to see and keep in touch with today. Having won an award only fueled my obsession, and in the following years I branched out attending more conventions. Lately I average about 4 cons a year, 5 if I'm lucky, trying never to miss Anime Boston, ConnectiCon, or Dragon*Con in Atlanta, GA. 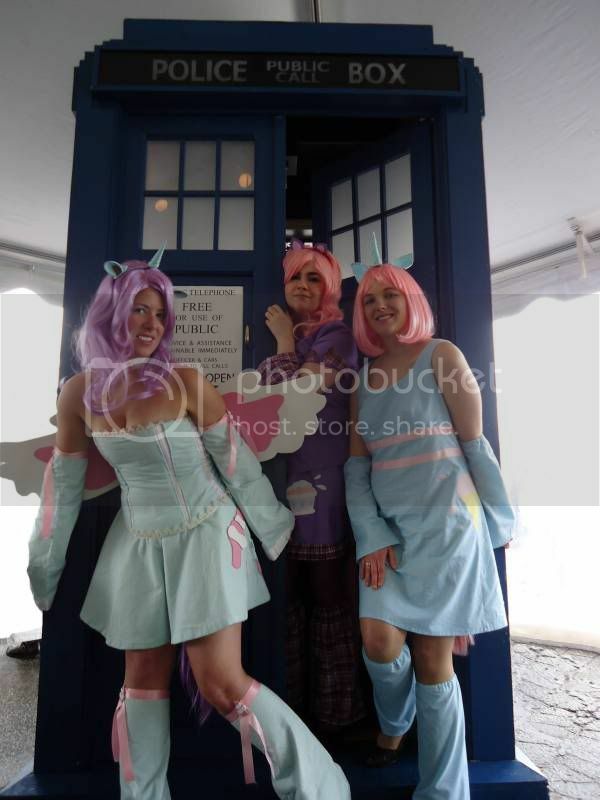 In 2009 I even joined ConnectiCon's convention staff in the Guest Relations department. To date I haven't missed a single one of ConnectiCon's conventions since it started in 2003. Now that I've graduated college I don't really know where life will take me. It's becoming harder and harder to find time and funding to dedicate to this ridiculous, and yet wonderful hobby. Easily half of the friends I feel closest with are those I've met through cosplay and congoing, and I'd hate to loose that, but sometimes I feel like I'm just hiding from adulthood, and I know I have to grow up sometime. Then I attend another convention and I remember all over again why I do this. If I have any say in things I'll be around the cosplay scene for a while yet. Maybe I'll attend fewer cons and make fewer costumes, but there's no way I could cut out such a wonderful part of my life entirely or for good.